When you place an order with e2save (through obil.co.uk), we want you to be happy. Happy because you've had a great choice of mobile products to choose from, you've got a brilliant deal and the service you've received has been friendly and helpful. If you want the latest in mobile technology you've come to the right place. 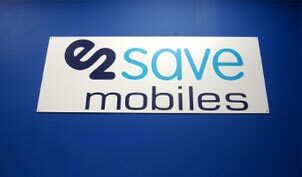 Because e2save is a trading division of The Carphone Warehouse limited which is part of the Best Buy Europe Group, this means we have an amazing choice of handsets and tariffs across all major networks. We also have access to exciting new mobile products as soon as they come to the market and deals that aren't available anywhere else. It's our people that make us different from other mobile phone retailers. We really do care about helping customers find the best phone, best tariff and best deal for them. Our customer advisers are all trained to provide sensible and easy to understand advice. e2save was founded in 1999 and we've worked hard to build a solid reputation. As part of The Carphone Warehouse group / Best Buy Europe Group, one of the biggest mobile technology organisations in the world, we follow strict processes to ensure customers have total peace of mind. We take our business and your business, very seriously. Your confidential information is secure with us; we strictly observe data protection laws and promise never to pass your details on to a third party. We're committed to working with local charities and all team members are actively encouraged to get involved with community projects. You can see all about our support on our supporting causes page. We're also passionate about recycling and none of our waste goes to landfill sites. 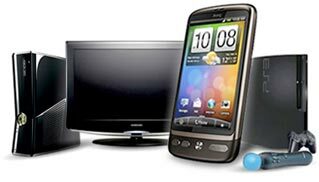 We comply with the WEEE Directive which ensures our customers old phones and batteries are disposed of correctly and don't case harm to the environment. Our customers come back to us because we deliver excellent service and offer great value deals; we're extremely proud of that. So if you are happy, please tell as it's important that we know what works well for you. It also makes us smile when we know you're happy. If you're not happy with our service at any point, please tell us. We'll do everything we can to put things right and you can contact our customer services team to let them know your thoughts.